MATCO mfg produces a superior 6 inch wheel and brake assembly for use with aircraft requiring less than 1860 lbs per wheel. This model uses 1.50 inch tapered roller bearings. (Check the product comparison table for other bearing and caliper configurations). DIMENSIONS - The WHLW600XLT is a 6 inch wheel with 6.15 inch width with an additional 1.37 inch caliper spacing. Bearing spacing is 3.42 inches and axle spacing is 1.78 inches. The total weight of this wheel and brake assembly is 10.4 pounds. The bearing axle diameter is 1.50 inches. FEATURES - The W600XLT is centrifugally cast utilizing 535 aluminum alloy for superior strength and corrosion resistance. This alloy provides a light weight wheel and affords many years of efficient performance. 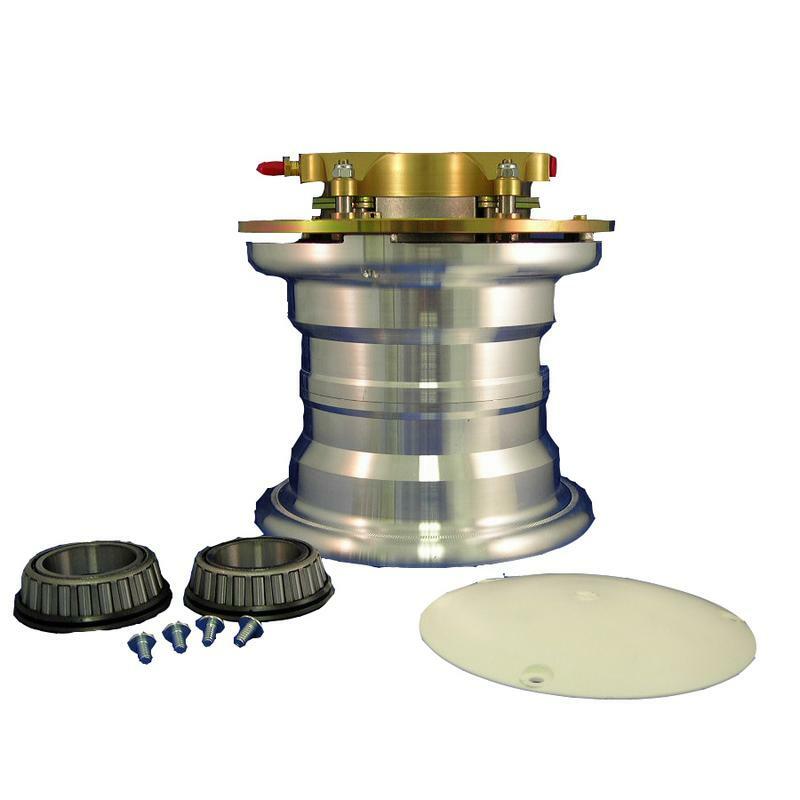 The W600XLT features the WHLB600XT brake assembly and lower energy rated WHLD2 disc forweight savings for aircraft with lower RTO energy requirements. (Specify the W600XT when high torque and high energy is desired) The WHLB600XLT brake uses three 1.50 inch diameter pistons in a single caliper to provide maximum torque in a low profile package. This internal caliper design is favored for use in many retractable gear systems for it's low profile compared to external caliper designs when low drag and clean lines are desired. The wheel is designed to use 6.00-6 aircraft style tires as well as any oversized tire since tire clearance is not an issue with the internal caliper design. The WHLA6 axle or WHLAXLE6 axle assembly (includes axle, nut, and washer) are designed to be used with the W600XLT.